On 22 March 2015, the Linden Lodge residents and staff members supported the local C.R.O.P. Walk in support of stopping hunger in the local community by participating in their Walk held in Southern Pines, NC and also collecting donations on behalf of eliminating hunger. 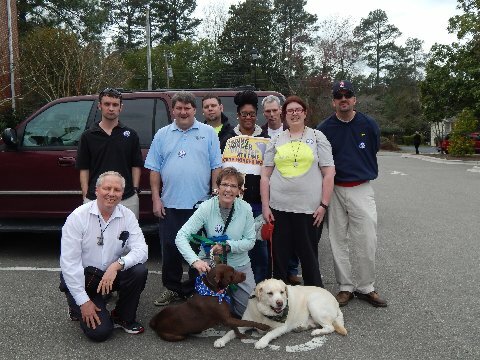 It was a beautiful Carolina day and the afternoon was enjoyed by all – to include Maggie, the Linden Lodge “super pup” and Jake, the Kernan’s yellow Lab. After the Walk, a treat of lunch from McDonald’s was enjoyed by everyone – to include the canines!